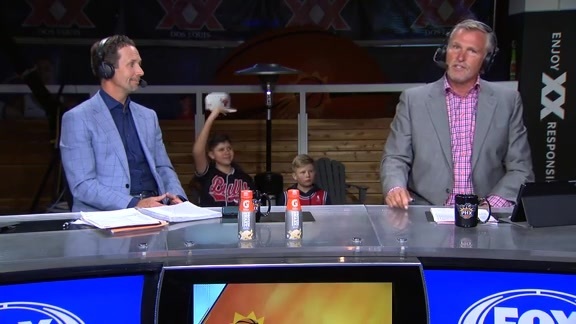 The Phoenix Suns returned from their road trip as the team tipped-off against the Chicago Bulls on Monday at Talking Stick Resort Arena. Devin Booker found Deandre Ayton for the slam dunk to open the game and the duo both looked poised for a big night. 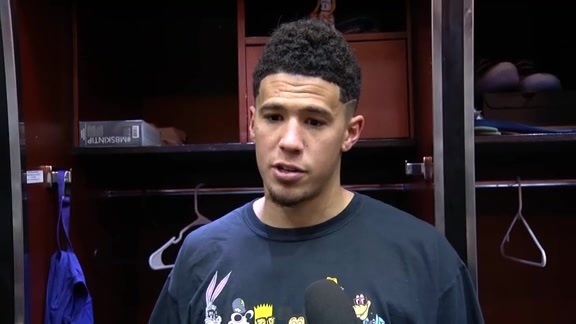 This wasn’t Booker’s only connection on the night as the young guard dished out a team-high seven assists to go along with his 25 points and eight rebounds. This was his 13th straight game scoring 20-plus points, extending the second-longest 20-point streak of his career. Ayton matched Booker with a 25 points to go along with his 12 rebounds for his rookie-leading 36th double-double. The Big Fella is just one double-double away from tying Alvan Adams’ record for the most double-doubles by a rookie in franchise history. Ayton put in the work on the defensive end as well, matching his career high with three blocks and also recording three steals. He joins Giannis Antetokounmpo, Anthony Davis, James Harden and Karl-Anthony Towns as the only players this year to record a game with at least 25 point, 12 rebounds, three blocks and three steals. He is the first rookie since 1995 to record those numbers in a game. Despite big games from their young stars, the Suns found themselves down early as they trailed the Bulls by 14 to end the first. While the other three quarters remained relatively close, the Suns couldn’t overcome their early deficit as they ultimately fell to the Bulls 116-101. 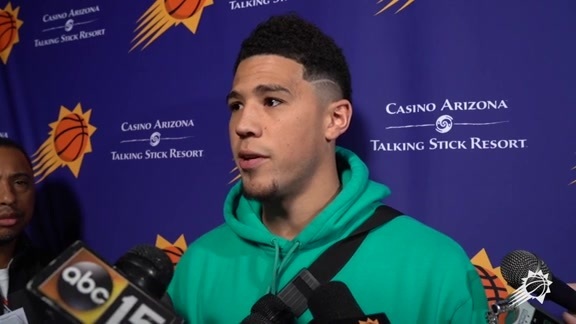 After scoring a career-high in the last game, the Suns were without Kelly Oubre Jr. due to injury and Booker said his absence was definitely noticed. The Suns will look to bounce back as they remain at home for a matchup against the Detroit Pistons on Thursday. Be sure to catch the action on Fox Sports Arizona.